Nature's Avenger® Organic Weed Killer is a natural citrus oil based herbicide designed to meet the demands and needs of homeowners and businesses looking for an alternative to synthetic herbicides or less effective natural products. Fast acting - with visible results in 2 hrs or less! Emulsion technology lets you see where you've sprayed. Mix your own with our 32oz. or 1 gal concentrates. Which weeds can be controlled? 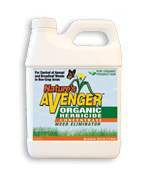 Use Nature's Avenger Organic for non-selective control of herbaceous broad leaf and grass weeds, such as lambs quarters, nightshade, velvetleaf, purslane, chickweed, clover, dandelion, foxtail, ivy leaf, milkweed, morning glory, pigweed, poison hemlock, liverwort, ragweed, sickle pod, quack grass, and bluegrass. How do I apply Nature's Avenger Organic? Shake well before use. We can't say this enough. Think of mixing oil and water except this time it is Citrus Oil and water. You have to shake it to make sure it is mixed properly. Then, apply Nature's Avenger Organic to the foliage of the weeds making sure that all of the foliage is thoroughly wet. Thorough coverage is necessary to achieve desirable control. When spot treating a weed in a flower or vegetable garden, shield desirable plants from spray drift with a piece of cardboard or plastic. If desirable plant is sprayed accidentally, rinse off immediately with water. NOTE: All contacted vegetation is affected. Avoid contacting desirable plants. Over spray or drift will injure or kill contacted vegetation. It is best to apply when outdoor conditions are warm and sunny, but NAO has been known to work in temperatures down to 40 degrees. It is best to apply when outdoor conditions are warm and sunny, but NAO has been known to work in temperatures down to 40 degrees. Apply when weeds are actively growing. Spray when calm to prevent drift to desirable plants. Weeds usually begin to turn dark and die within hours and are completely dead within 24 hours. You will see results within hours, and dead weeds/grass the next day. Weeds with a deep root system may require a second treatment. Where can I use Nature's Avenger Organic? 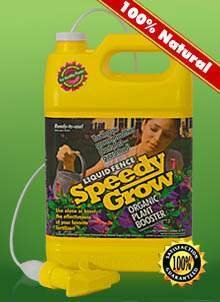 Use on patios, sidewalks, driveways, gravel and mulch beds, around shrubs or trees, in flower beds, and along fences and retaining walls. Also can be used in vegetable gardens. Nature's Avenger Organic Weed Killer - The fastest, most effective, organic way to control weeds! Nature's Avenger Organic Weed Killer is a citrus oil based weed killer designed to meet the demands and needs of homeowners and businesses looking for an alternative to synthetic herbicides oramore effective "natural" weed killer. Environmentally friendly, Nature's Avenger is fast becoming the organic weed killer of choice. 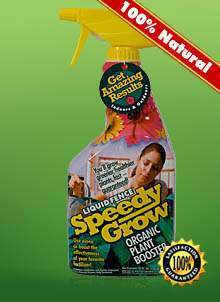 Nature's Avenger Organic Herbicide won the 2008 Green Thumb Award, is EPA Registered, OMRI Listed and approved for use in Organic Production/Gardening by the USDA NOP. No other herbicide can say that! Nature's Avenger Organic, NICE TO NATURE... NOT TO WEEDS! PLEASE NOTE: Nature's Avenger is now available nationwide, but we can only ship our Concentrate into the state of NY. Registration is in process so please check back. We are sorry for the inconvenience.